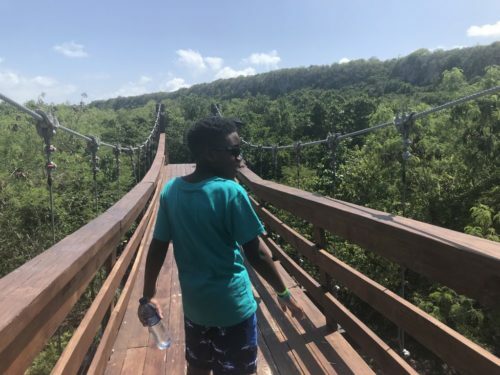 As much as you enjoyed traveling before, it can seem like a daunting new world when preparing for an adventure with your kids. 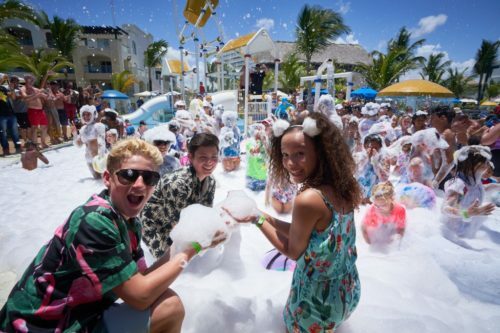 We’ve collected the top 20 tips for traveling with children, so your next vacation can be as breezy as the Bahamas. Take your time. Nothing will stress you and your children out more than having to rush through security to make your plane on time. Don’t be afraid to wake up a little earlier or stay out a little later and avoid all the hubbub of the crowds. Your sanity will thank you. Pack together. Although it may take a bit more time, letting your kids have a hand in the process will make them even more excited for the trip. Also, it’ll help make sure you’re packing the necessities and avoid any meltdowns for forgetting their favorite blanket. Choose toys and snacks wisely. Legos might be their favorite toy, but all those teeny tiny pieces will be a pain to pick up. As much as you love those healthy granola bars, the seemingly endless crumbs will be much less of a hit. Aim for toys and snacks that won’t require much clean up and will be easy to move on a moments notice. Pack on extra outfit (or three). No matter how hard you try, kids will always find a way to stain, rip, or otherwise dirty their clothes. Rather than having to find a way to translate “laundromat” on your travels, avoid the extra stress and pack a few extra emergency outfits. Roll, don’t fold. By rolling your clothes when you pack, you’re saving space and avoiding wrinkles. When you’re rolling, you’re compressing the clothing, leaving more space in your suitcase for other essentials like shoes and books. It will also save you some time later on when you don’t need to iron your family’s outfits for that fancy dinner. Let your kids help you plan. 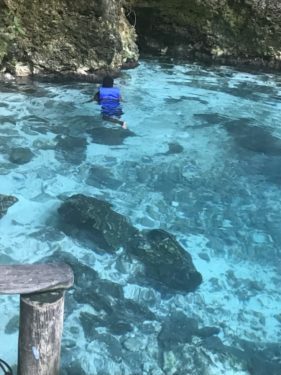 You may have a perfect itinerary for your dream vacation, but it will help put your kids at ease if they had some input too. 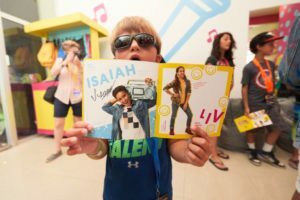 Vacations and change can be overwhelming for children, so letting them pick out at least one activity will give them something to really look forward to. Don’t forget the little things. Once you’ve packed everything you need for your trip, go back and try to think of any little things you might need on a daily basis. Tylenol? Check. Baby wipes? Not just for babies anymore. Ziploc bags? You know it. Backpack of goodies. Give your children a little responsibility and pack them their own backpack filled with age-appropriate toys and snacks to keep them busy. It will help take a load off you, and give the kids a sense of pride for being responsible for their items. Bring an extra map. Whether you’re traveling by plane, train, or car; the long journeys can be tough. Give your little ones something to do by bringing an extra copy of your route and some crayons and let them follow along. It will keep the “are we there yet?” to a minimum, and the crayons will give them a safe (and clean) creative outlet. Two words: Magnetic. Puzzles. This one takes a little planning, but can be a lifesaver on long car or plane rides. 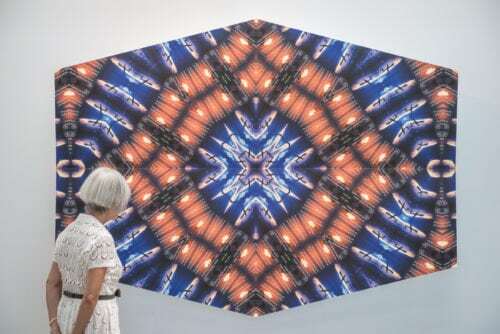 Either buy a magnetic puzzle, or glue some cheap magnets on a favorite you have at home, and bring along a cookie tray or dry erase board on your trip. It will keep your kid’s hands busy, and you won’t have to worry about losing any pieces. Board the plane separately. Have one parent board first, taking most of the luggage on with them. Once they are all settled and have the seats saved, have the other parent board with the kids. 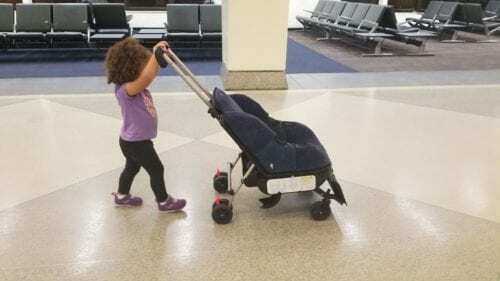 This will save you some stress and give you more time to let them get out all their energy before the flight. Have lollipops handy. We all the know the gum or yawning trick for popping your ears on a flight, but did you know lollipops can have the same effect? Coerce your kids into behaving and save them from any pressure induced headaches with this sweet treat. Stick to your routine as much as possible, but don’t be afraid to bend the rules. Your routine may be the only thing keeping you sane at times, but going on vacation can be a whole other ballgame. At home you may forbid electronics at dinner time, but having your tablet charged and ready for the five-course meal at a fancy restaurant might keep your youngest from throwing escargot at his sister. Be prepared, and be flexible. Schedule some decompression time every night. With all the hustle and bustle of traveling, it’s a good idea to have a set amount of time reserved for kid’s relaxation. Whether it be reading a book, playing a board game or simply watching an episode of their favorite show, make sure you have at least 15 minutes to an 1 hour of downtime in your schedule. Make sleep a priority. 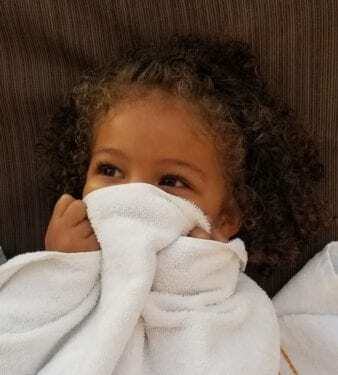 It can be very tempting to want to skip nap time for all the fun adventures you have planned, but you may regret it when the inevitable sleepy meltdowns come knocking. 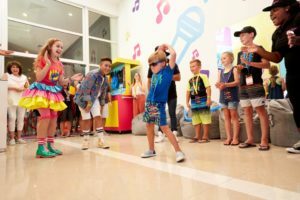 Know your child’s schedule, and come up with codewords between adults for when its time to take them back to the room for a little bit. Continental breakfasts are your new best friend. If scheduling allows, try to find a hotel that serves complimentary continental breakfasts. It will help take some stress out of your day, and you can always take some muffins for snack time later. 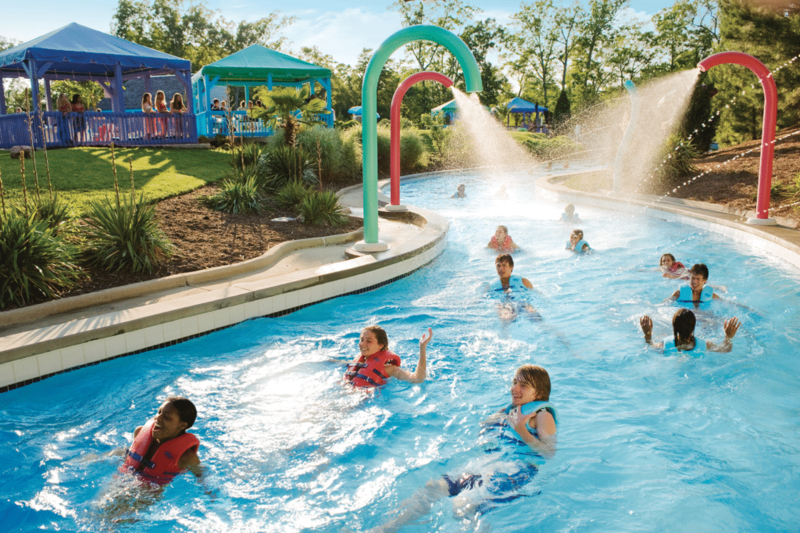 For every adult activity, plan a kid-friendly one too. Even though that third wine tasting sounds like a lot of fun, your kids may get restless and cranky if there’s not enough activities designed for their enjoyment. For every late night luau, plan a coloring contest or arcade day. Take plenty of pictures, but enjoy the moment. We’re all after the perfect Instagram photo, but nothing kills the fun like an impromptu photoshoot with a demanding director. Take enough pictures for scrapbook memories, but remember to sit back and soak it all in too. Stay calm. 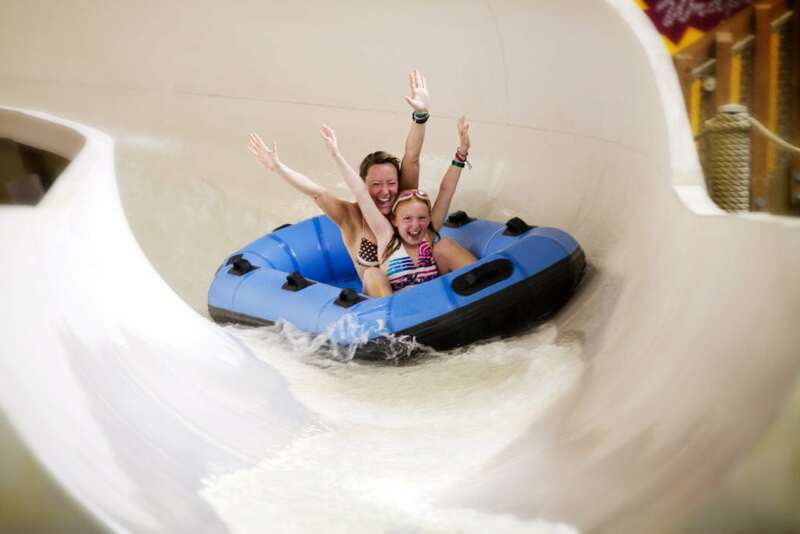 Vacations can be stressful, but remember you are there to have fun! Take things with a grain of salt (and maybe a margarita), and remember you’re there to make lasting connections and memories with your family. Your calm attitude will help your kids have a better time too. No matter what you do, not everyone will be happy all the time. Even if you do everything on this list and more, chances are someone will be unhappy at some point during your trip. Roll with the punches, try to get to the root of the problem, and most importantly – don’t take it personally. 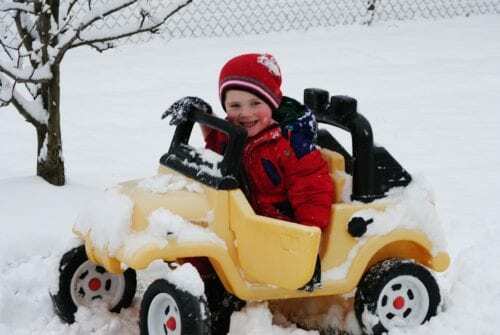 As winter break approaches, lights begin to line houses, and parents start searching for any excuse to get out of the office; it’s starting to feel like that extra special merry time of year. From desert destinations to colder communities, we are your one stop shop for holiday travel inspiration. These family-friendly towns will make you feel right at home, or give you the ultimate city slicker experience you’ve been searching for. Whether you’re celebrating Christmas, Kwanzaa, Hanukkah, New Years or anything else in between, these magical holiday destinations are sure to reignite the spirit of family this winter. If your kids say they’re too old to believe in Santa Claus, a visit to North Pole is in order. There’s nothing like reliving your childhood and tapping back into your imagination at this year-round holiday extravaganza. 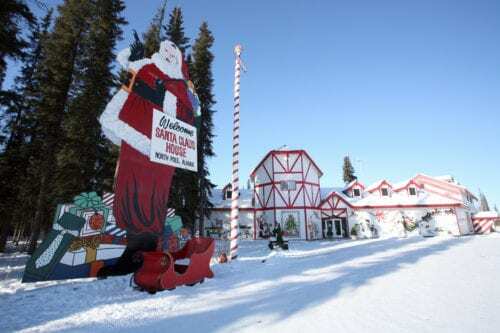 Only a 15 minute drive out of Fairbanks, North Pole comes alive with the spirit of family every winter season. Ice sculptors from around the world travel to participate in the annual Christmas in Ice Contest. 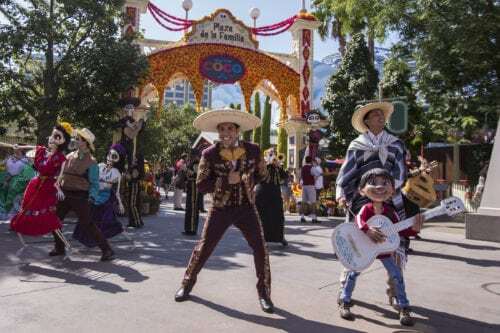 The Winter Festival is a kid favorite with breathtaking fireworks, a candle-lighting celebration and the crowning of the King and Queen of North Pole. Stop by the North Pole Post Office to see elves hard at work responding to the annual 400,000 letters addressed to Santa. 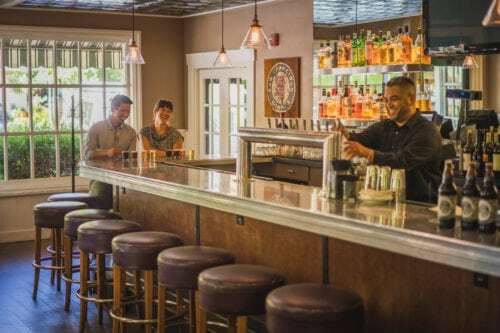 Take some time out of the chilly Alaska winter wilderness at some of the world-renowned restaurants in town, some of which have been featured on the Food Network’s “Diners, Drive-Ins and Dives”. Whatever you decide to do in North Pole, don’t forget to keep your eyes to the sky for the Aurora Borealis Northern Lights! For an escape from the cold and snow, say aloha to Kauai this holiday season. This Hawaiian island is an outdoor enthusiasts dream with nine distinct wilderness preserves, and even though the weather may not match the season, there are plenty of winter adventures in store. 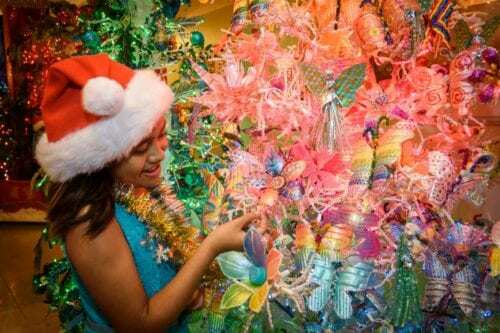 Surf with Santa at the 22nd annual Kauai Festival of Lights, a free family photo op that teaches you about the culture of the island and the true meaning of togetherness. Dance away Thanksgiving dinner at the Christmas Luau at Kamokila Village, taste the diverse flavors of the islands at Friday Art Night or unwind with a live ukulele performance by the ocean. For an explosive end to the year, go to the famous Poipu Beach Park for a free family-friendly movie followed by the annual New Year’s Eve Fireworks Celebration. If this sounds like your kind of holiday getaway, make sure to book early! December is one of the busiest times on the island. Hau’oli Makahiki Hou! 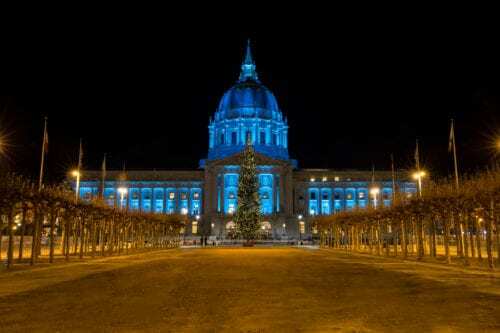 Experience the uniquely Northern Californian charm of San Francisco during the winter. This bustling metropolis is jam packed with kid-friendly things to visit, eat and do. Stop by Fisherman’s Wharf for fresh seafood, decadent chocolate and the magical tree-lighting ceremony. If you love a good show, plan a concert trip to the San Francisco Symphony to hear award-winning artists showcasing holiday favorites. Try not to overload on sugar at the towering gingerbread houses decked out with lights, ornaments and tasty treats on Nob Hill. Snow may be scarce in the California climate, but you can still ice skate! The Embarcadero Center hosts an annual carnival where you can skate and slide to your heart’s content. Walk through the famous Haight and Ashbury neighborhood and see if you can spot psychedelic Santa, a local favorite. If it’s not too chilly, trek across the Golden Gate Bridge for a once in a lifetime view of the bay. Don’t forget a pair of good walking shoes. 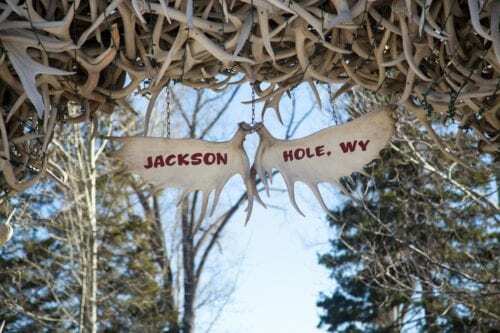 Have an extra special holiday season at Jackson Ho-ho-hole in Wyoming. This tiny town is one of the best vacation destinations, and their seemingly endless winter activities explain why. Snuggled in the Grand Teton National Park, you and your family can get up close and personal with wildlife at the National Elk Refuge while enjoying a horse-drawn sleigh ride. Ski the slopes with Santa and his reindeer on Christmas in Jackson Town Square, practice your best belly laugh with a musical dinner theatre show at the Jackson Play House and warm up by the fire with free hot cocoa. Start your new year off with a bang with Jackson’s mountain torchlight parade, a special Glow Worm parade for kids and an awe-inspiring fireworks display to wrap up the festivities. With plenty of special discounts going on, you’re sure to find something to brag about when you get home. For a December desert destination, plan a visit to Taos, New Mexico. 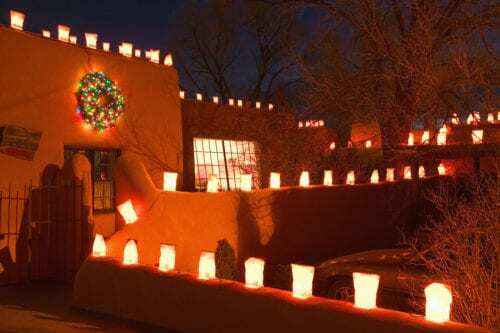 The town celebrates Yuletide in Taos from Thanksgiving to New Years, giving you plenty of time to take advantage of these unique celebrations. Take a walking tour of the candle-lit farolitos (small paper lanterns) amongst the falling snow, a tried and true New Mexican tradition. 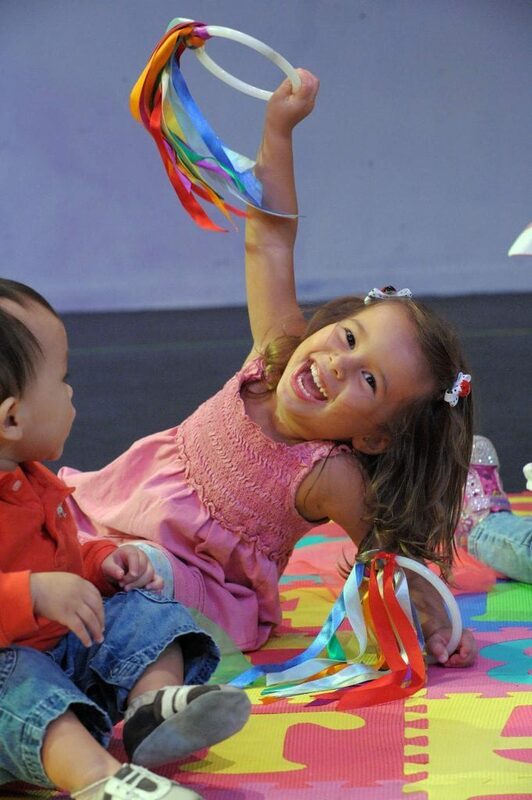 Visit the annual Yuletide Arts and Crafts fair or twirl the night away at the Twirl Aglow Party, a kid and family favorite. Purchase your own handmade art at the TaosFolk famous pop-up store, witness the 31st annual tree lighting in the town plaza and listen to local stories under the stars at the Lighting of Ledoux. For all you animal lovers out there, say hello to Santa Paws, a Christmas benefit featuring the Stray Hearts Animal Shelter. With Native American and Latino influences, holidays in New Mexico are a uniquely cultural experience that we encourage you to try at least once – and Taos is definitely the place to be. Charleston redefines the true taste of southern charm, and the winter season is no exception. Trek through three miles of over 2 million shimmering lights at James Island County Park’s Holiday Festival of Lights. 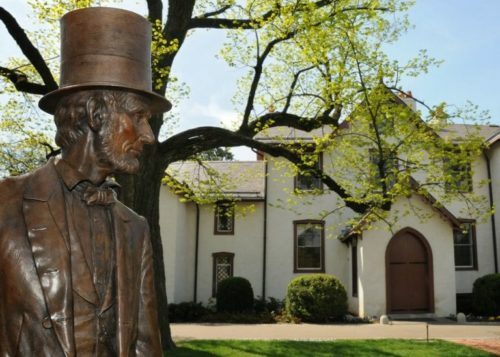 This tradition brings local landmarks to life and is open every evening, rain or shine, through January 1st, 2019. Explore the Winter Wonderland, roast marshmallows, ride the carousel or go on a train ride through the park. Laugh the stress of the season away with the Charleston Christmas Special, sample delicacies at Wine Under the Oaks, or step back in time with the Family Yuletide in the Stable Yards. For more interactive fun, be a part of your own dinner show with We Three Thieves, where audience members take on characters at a fancy dinner party. For the perfect family-friendly way to bring in the new year, attend the Happy New Year, Charleston in Marion Square. The Holy City sure knows how to celebrate the holy holidays. 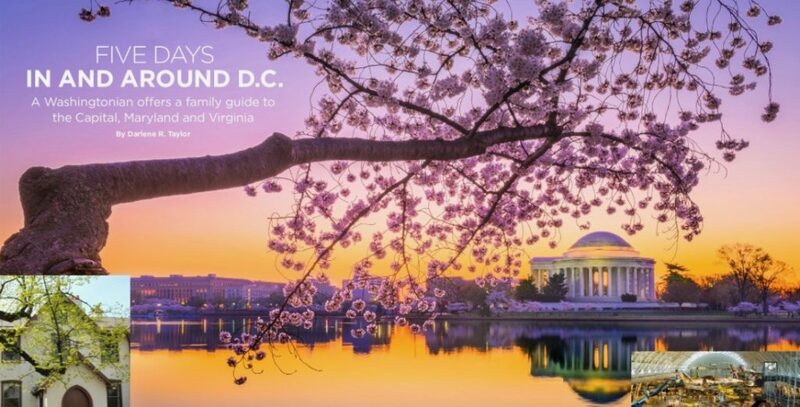 You may already know better than to discuss politics at Thanksgiving dinner, but that doesn’t mean you can’t visit our nation’s capital this holiday season. 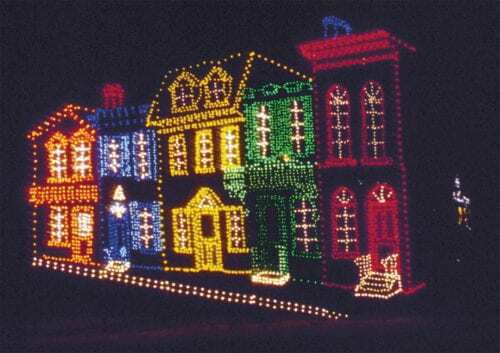 Washington D.C. in December is truly magical, as there are a multitude of celebratory light displays across the city. Cross visiting the National Christmas Tree off your bucket list, and see if you can count all 56 handmade ornaments representing the US states and territories. Visit in time for the lighting of the National Menorah on December 2nd, and indulge on some free latkes and hot donuts. 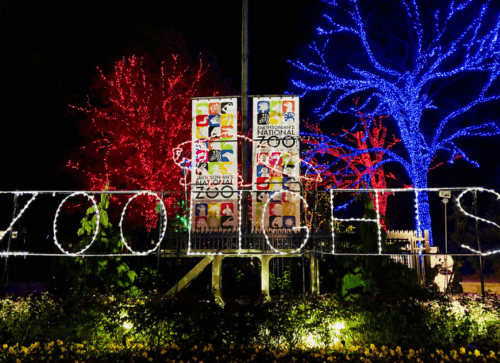 Reconnect with your wild side at the Smithsonian ZooLights. For adults, mark your calendars for BrewLights, an immersive craft brew featured experience. You’d be a grinch if you missed Georgetown GLOW, a breathtaking light-art exhibition in D.C.’s most historic neighborhood. The Downtown Holiday Market is worth multiple trips, as you just have to try all the food, drinks, and desserts the vendors offer. 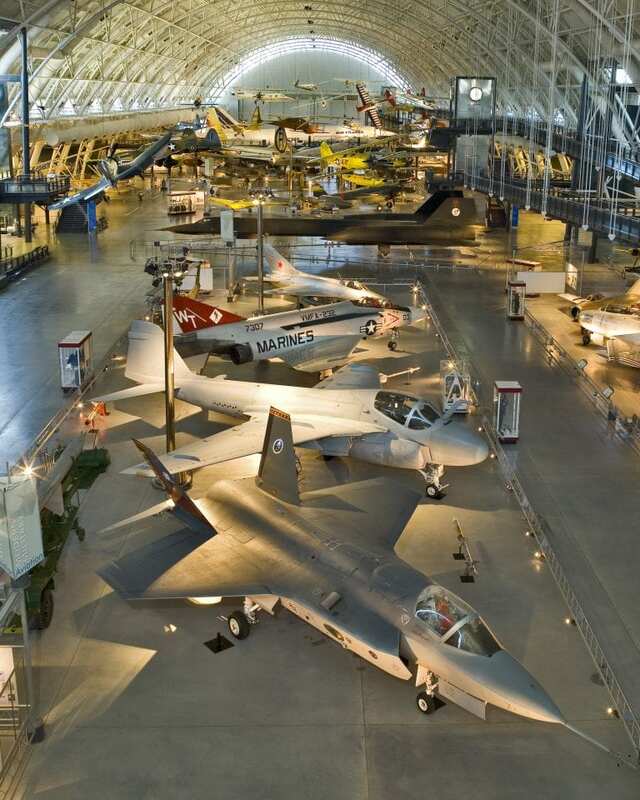 D.C. is always teeming with people, but you could be teeming with holiday spirit. No one celebrates the holidays like New York, New York. Instead of watching the Macy’s Thanksgiving Day Parade on TV this year, plan a trip with you and your little ones to get all of what this city has to offer. Light the world’s largest Hanukkah Menorahs to kick off the Jewish Festival of Lights at the Plaza Hotel. Stop by the Rockefeller Center for the famous Christmas Tree lighting or skate away the day at The Rink at Rockefeller. Embrace the diversity of the city with the Brooklyn Nutcracker, a dance genre bonanza that adds a twist to the classic tale. NYC is full of the world’s best and brightest, and New Year’s Eve is no exception. 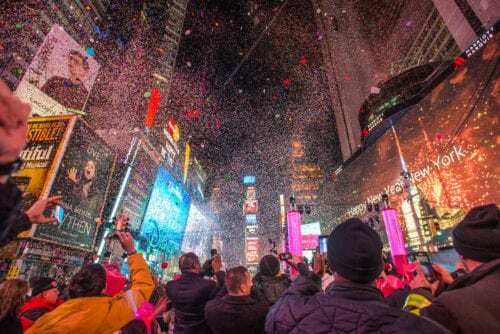 Bring in 2019 with family and fun at the Times Square Ball Drop, but don’t forget to bundle up for the bitter cold. For a fantastical fireworks display, line up along Prospect Park’s West Drive for the best view of the Grand Army Plaza Fireworks Display. 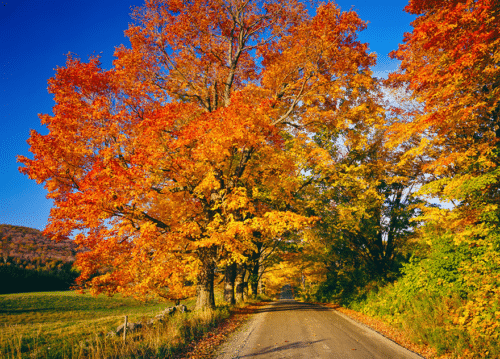 Vermont is a fall foliage must-see thanks to their state tree, the sugar maple. 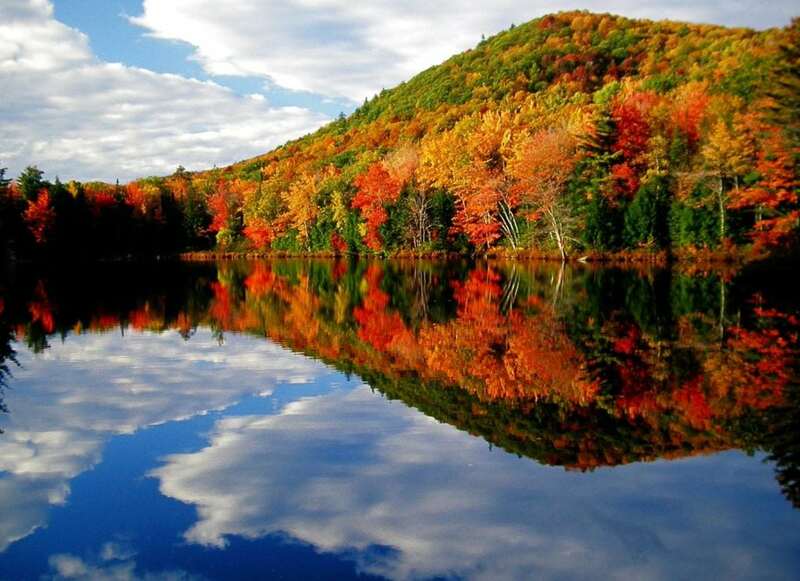 Manchester, located near the border of New York and Massachusetts, is surrounded by brilliant shades of red and orange that stretch as far as the eye can see. Don’t forget a camera as you explore Hildene-The Lincoln Family Home, teach your kids how to pick apples at Mad Tom Orchard, or take a ride up the Skyline Drive for breathtaking views of three states. Manchester’s quaint, family-friendly New England atmosphere will give you plenty of opportunities for good food, quality time, and adventure. The Great Smoky Mountains is home to over 100 native species of trees, making it one of the most colorful and popular fall destinations. Scarlet oaks, hickories, and sweetgum trees create a distinct variation of purples, reds, and golds that is sure to make your family photos the envy of your PTA group. There’s no lodging allowed inside the park, but surrounding towns like Asheville and Gatlinburg cater to the seasonal crowds. For a truly once in a lifetime view, trek up to the top of Gatlinburg’s 407 ft Space Needle for a 360 degree view of the mountain range. Fall is a special time for Lake Superior, with the distinct maple, aspen, and birch trees coming together to form a charming red-yellow rainbow. 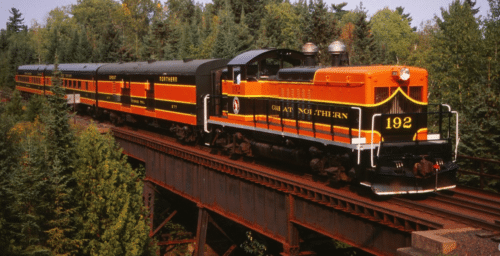 For the best view, hike inland along the lake, take the North Shore Scenic Drive towards Canada, or relax on the North Shore Scenic Railroad (they even have a Music and Pizza Train to keep younger passengers entertained). After a weekend of fishing or tubing along the lake, stop by the Duluth Children’s Museum for an interactive family-friendly break from the outdoors. With over 95 state parks, there is steep competition for fall foliage in the Lone Star State, but Garner State Park takes the cake. 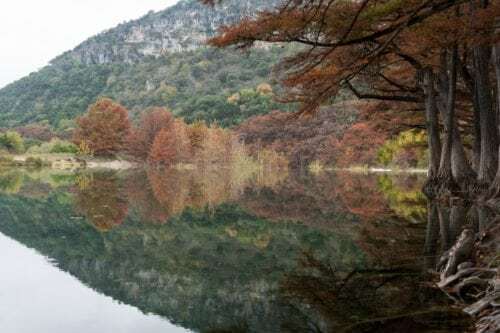 The cool Frio River highlights the yellows and oranges of the oak, mesquite, and cypress trees and the reflection on the water makes for a picturesque scene. With over 1,700 acres of protected land and 11 miles of hikeable trails, Garner State Park has something for every kind of explorer. After a long day out on the water, unwind with late night mini-golf, specialty gelato, or an all-ages dance to celebrate the beginning of fall. Grand Lake, Colorado’s largest and deepest natural lake, is surrounded by the distinct aspens of the Rocky Mountain National Park. The plentiful forests typically transition through golden-yellow shades, but if you’re lucky you can catch a rare red aspen dotted amongst the forest. When the trees change, the wildlife come out to play, and Grand Lake is a prime spot to see the majestic elk rut. Visit during the third week of September to take part in the 7th annual Constitution Week, a five-day food and fun festival to celebrate fall. 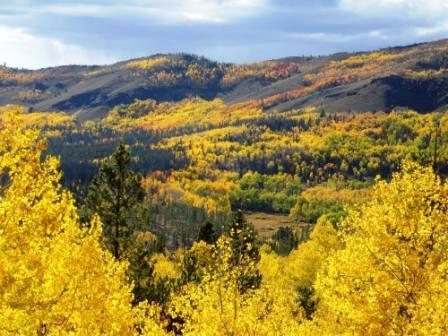 Bishop Creek Canyon, famous for their abundant cottonwood and aspen trees, is one of the best places on the West Coast to witness mother nature’s changing hues. Golden and red shades set the valleys ablaze and the mild California climate helps you maximize your time outdoors. 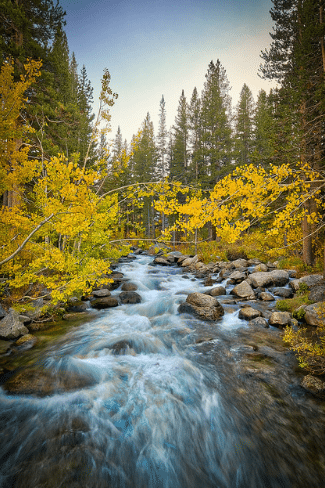 Enjoy a horseback ride through the trails, take a dip in one of the many rivers or streams, or hike through the Eastern Sierras for an adventure packed family-friendly weekend. For some live entertainment at the peak of fall colors check out the Millpond Music Festival or Annual Pow Wow. 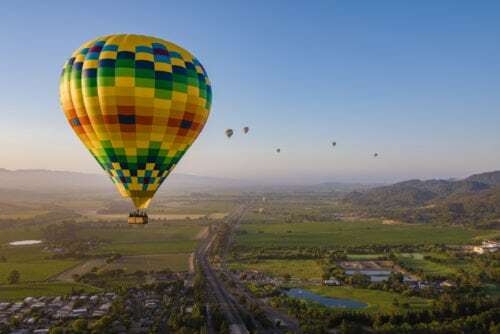 The Napa Valley is well known for its sprawling wineries and luxurious adult getaways, but the region is also home to several opportunities for family-friendly adventure. 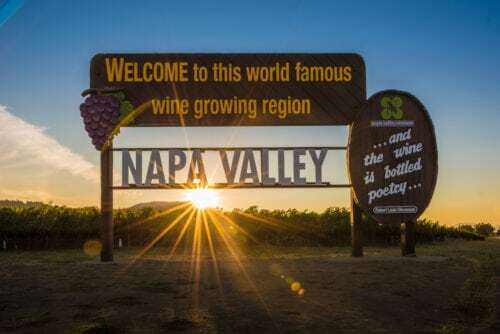 Located about an hour north of the San Francisco Bay area, visitors of all ages can enjoy the famous California climate while exploring the protected natural landscapes, various restaurants, or a relaxing spa day in the mineral pools. Calistoga’s Old Faithful Geyser is a definite family favorite and is one of only three “faithful” geysers in the world. Even the most restless kids will be entertained with a 350 degree spout of water erupting every half hour. The sprays of mist form spectacular rainbows, creating the perfect photo opportunity with a serene Napa landscape. While waiting for the eruption, families can stop by the Old Faithful Animal Farm, a petting zoo featuring Tennessee Fainting Goats, Jacob’s four-horn sheep, and Guard llamas. For a little natural history lesson you can drive five minutes up the road to the Petrified Forest. Take a walk through the worlds largest petrified redwood trees that were turned to stone 3.4 million years ago by a massive volcanic explosion. The redwood trees, now extinct, have become fossils and are decorated with sparkly mineral quartz that are sure to catch your eye. Foodies on Foot is a pet and family accessible culinary walking tour highlighting several restaurants in Historic Downtown Napa. The 3-hour tour features 5-7 different eateries with picky eater friendly dishes like pizza and ice cream. 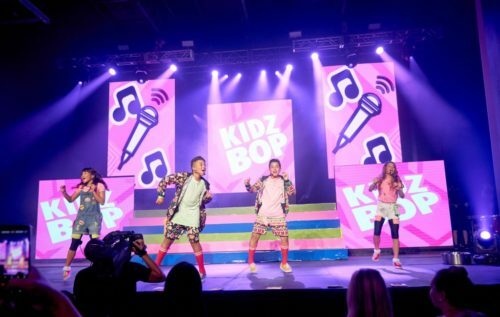 Kids under six eat free, those between 6-12 are half price ($35), and the ticket price is $70 for everyone in between. Many parents would be weary of bringing their children along for a wine tasting, but Castello di Amorosa has more than enough activities to keep your little knights and princesses occupied. The idyllic reproduction of a 13th century Italian castle is near exact, with a moat, dungeon, and suits of armor available to explore. Peacocks, emus, and sheep roam the grounds and can keep the younger ones occupied while parents enjoy an authentic Tuscan wine or cheese tasting. 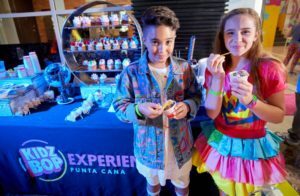 For something more hands on, The Culinary Institute of America at Copia offers Family Funday every Sunday for all ages and experience levels. Bring the whole family for an hour-long cooking demonstration that teaches both adults and children useful cooking tricks and kitchen skills. 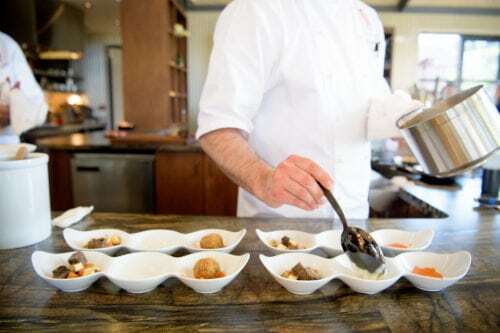 The courses always end with a taste of that day’s dish, so your family can learn and enjoy some culinary secrets from some of the best chefs in California. 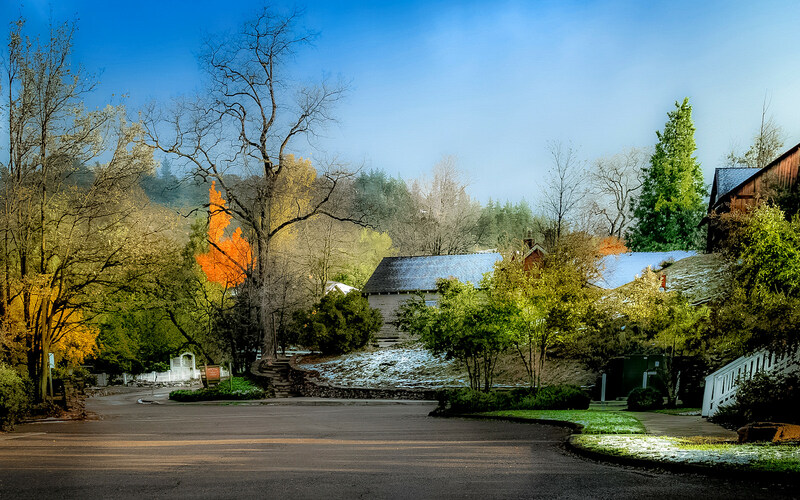 The di Rosa Center for Contemporary Art is centered around the charming Winery Lake and features several educational programs and exhibitions for all ages. Two galleries and a walkable Sculpture Meadow highlight contemporary Bay Area artists on the sprawling 217 acres in Napa’s Carneros region. 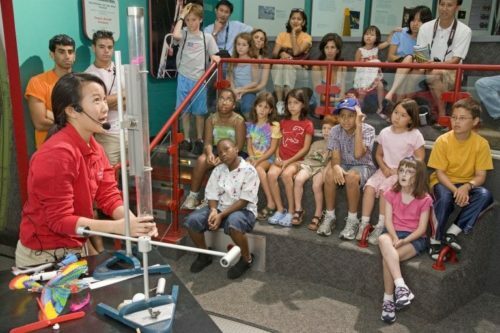 Admission is free for children 17 and under and the museum offers additional discounts for seniors, military, educators, and students. Silverado Resort and Spa ($) offers one or two bedroom suites with a full kitchen, private patio, and Wi-Fi access. 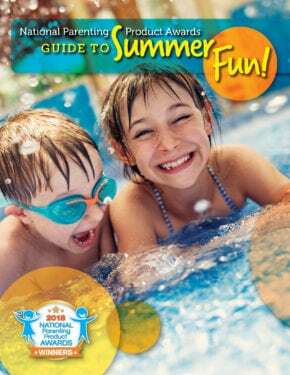 While parents are enjoying a day at the spa or picking up treats at the Silverado Market and Bakery, children ages 6-12 can participate in a supervised eight-week Golf, Tennis, and Swim Camp (GTS). At the Indian Springs Calistoga Resort ($$) you can choose between a room, cottage, bungalow, or full house for your visit. 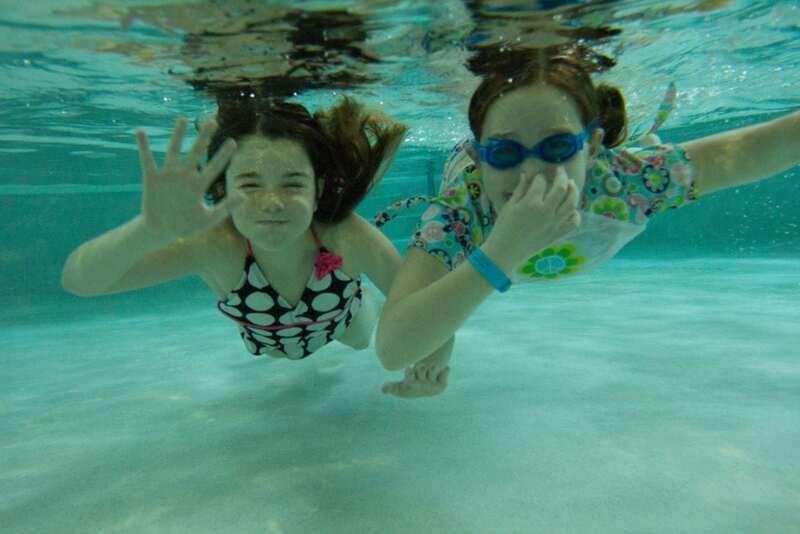 It is home to two swimming pools, including a temperature regulated Olympic sized mineral pool. The casual atmosphere is perfect for a relaxing getaway, and the amenities include several outdoor games and complimentary bikes to explore the town. The Carneros Resort and Spa ($$$) offers several cottages with ample space for the whole family. The resort has three restaurants on-site, two pools, fitness classes, and a selection of dog-friendly amenities for your furry friend. Carneros also hosts Kids’ Night, June through September, with board games, ping-pong, and a kid-friendly movie. If you didn’t get the chance to see the great outdoors this summer, you certainly still have time. The incredible fall colors and crisp cool air make any autumn camping trip an incredible weekend outing for the whole family. Outdoor fun doesn’t have to be exclusive to summertime, so whether you want to take a day trip or stay overnight, these beautiful places will make fall your favorite time of the year. 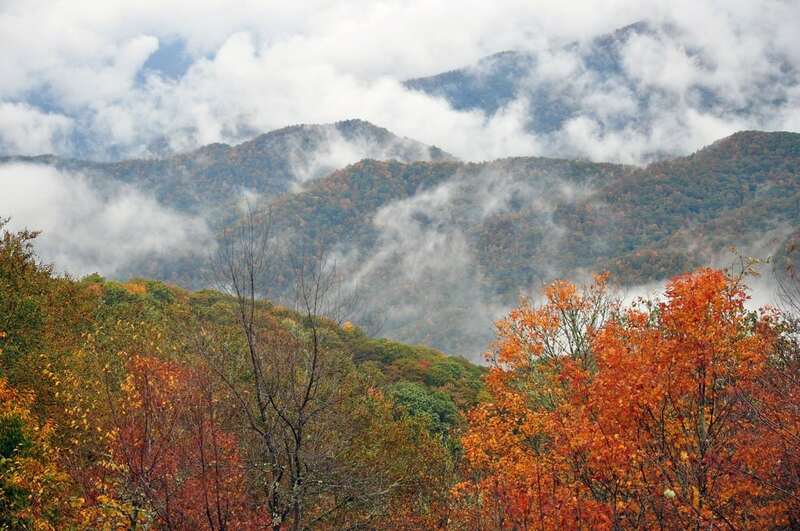 With camping options ranging from backcountry backpacking to developed front country campgrounds, the Great Smoky Mountains offers a wonderful experience for every type of adventure. With five different forests and scenic autumn drives and hikes, camping has never been more beautiful. Offering hikes that are specifically for kids as well as guided hikes, the Smoky Mountains has scenic landscapes that everyone can enjoy and even learn from. For more relaxed vacationers, the 800 square mile park has 384 miles of road to drive down where you can experience all the beauty the park has to offer. 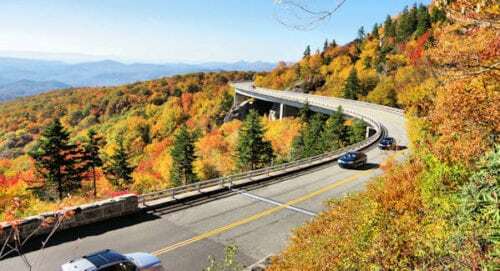 Experiencing deep fall colors for hundreds of miles, the awe-inspiring beauty of Great Smoky Mountains National Park makes it a can’t-miss destination for any autumn camping trip. Julian is a quaint town nestled in the Cuyamaca mountains, just a short drive away from San Diego. Famous for their apples, Julian is the perfect place to go camping during the fall season. With activities from boating and hiking to touring historic gold mines and visiting a fall pumpkin patch, Julian is a great place to experience the great outdoors in the height of the fall season. The town even has a pie baking contest this September, as well as a country fair and scarecrow display. With 2018 being the 100th anniversary of the forest, you don’t want to miss camping in this incredible location during the fall. White Mountain National Forest offers a ton of camping areas accommodating RVs and tents, and they also have cabins available. You can spend time collecting minerals and rocks, picnicking with your family, or simply taking in the scenic fall views. This forest also has incredible tree canopy colors, and it has miles of roads to drive down and take in the never-ending beauty. With landmarks like historic farm houses and old stone walls, you will never know what lies around the corner in this incredible forest. 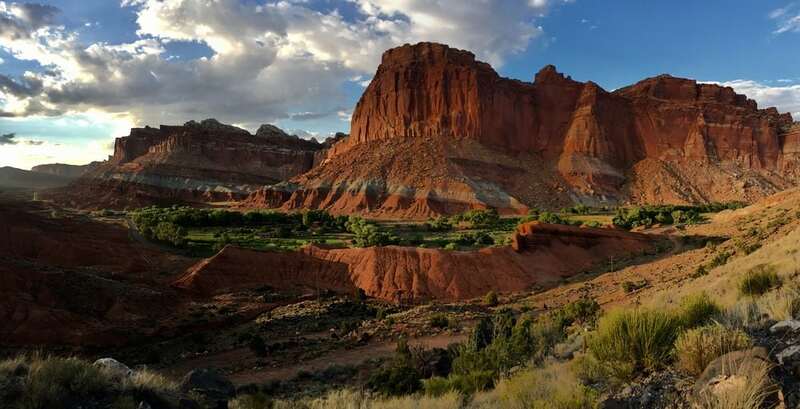 With unique landscapes from cliffs and canyons to domes and even something they refer to as a wrinkle on earth, you’ll want to check out Capital Reef National Park. A bonus feature of going in September are the apple and pear fruit orchards that are available to pick through the month. Experience the park both during the day and after dark with the incredible views of an endless starry night stretching for hundreds of miles. With a range of adventurous and laid-back campgrounds, Capitol Reef National Park is a unique and incredible place to visit. 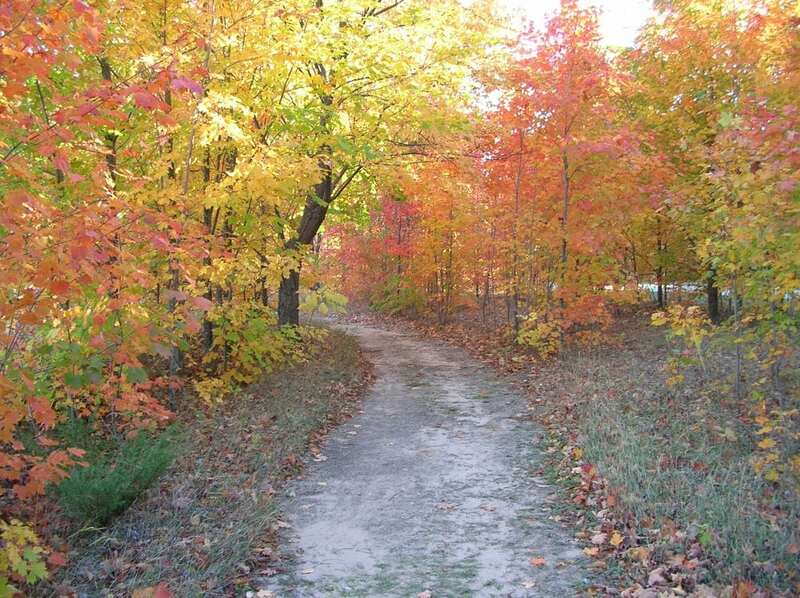 Sleeping Bear Dunes is an incredible place to take your family camping this autumn. You can camp on the rustic mainland with or without modern amenities, or even camp on one of the park’s islands. There are close by towns full of quaint local shops and tons of kid-friendly activities that are engaging and educational. Take your family to one of the museums or lighthouses, or take a rewarding hike on their famous sand Dune Climb. Ranger-led tours, a breathtaking drive, and backcountry serenity are all features of this historically rich National Park perfect for your next family camping trip.